Your book on iPad, Kindle, nook and more! You asked, we responded. And as you’d expect, our foray into eBook publishing is comprehensive, high quality, and GUARANTEED. For a one time setup cost of $549, your unformatted manuscript will be converted into an eBook using the latest ePub standards. 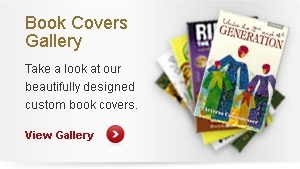 Ebook conversion includes premium formatting, custom color cover and interior page creation. All of our eBooks will be available through the major online eBook distribution channels including iPad, Kindle, Nook and more! * If you are in need of formatting and cover design add $300. 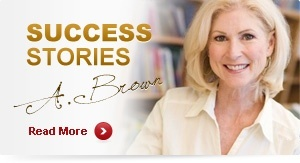 You’ll earn a healthy royalty of 70% on all net eBook sales. We partnered with the largest and most expert retailers in the world including: Amazon, Barnes & Noble, Sony, Books-a-Million and more than 30 other global online retail sites including 10,000 libraries. Have you ever seen an eBook with huge gaps in the text, blank pages, or obvious formatting errors? You wouldn’t want your book published that way, and neither would we. That’s why we review every eBook we publish. In fact, we GUARANTEE the conversion of your book to eBook. We support the ePUB standard and will continue to support all future eBook technologies, ensuring that once your book is in this system, your distribution will be upgradeable to keep pace with the rapidly changing marketplace. One of the beautiful aspects of the eBook format is its zero-impact on the environment. Being all-digital, there’s no paper used. No trees harmed. It’s just a straight path from you to the reader. Publishing your eBook with Infinity Publishing, you can dramatically increase your book’s exposure and reach new audiences.